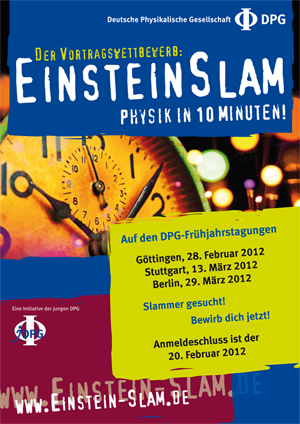 EinsteinSlam is the competitive art of making complex science accessible to a broad audience. There are just 10 minutes for every attendee to present his / her self-made performance. The event will finish with a public poll in order to evaluate if a particular contribution was either instructive and amusing or rather never should have been performed. All presentations will be given in German.